Who loves a good front? What do most guys do when they come from the land of huge whitetails to pick their daughter up from the airport? 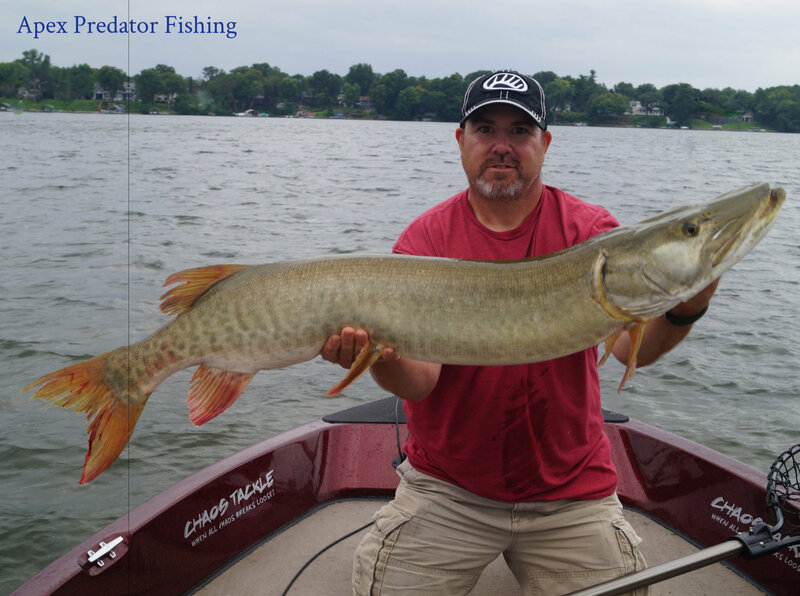 They book a trip with Apex Predator Fishing when there is an incoming storm front. This was some of the fastest action I have ever seen. Fish 3 spots and catch fish on all of them. Brent and his daughter Kaley did a phenomenal job of placing their #Apache bucktails right where they needed to be. 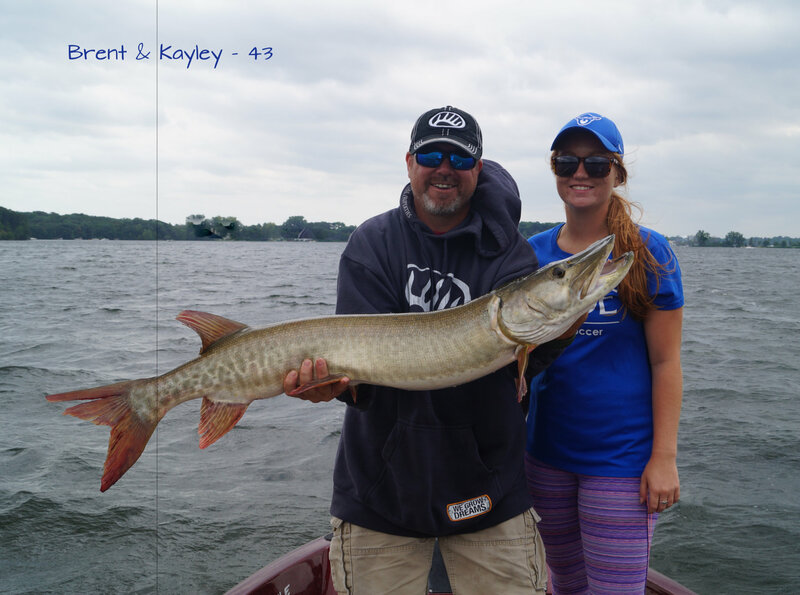 Did I mention that Kaley had never casted a muskie reel before so I had to teach her how while the wind was blowing 25 mph?! After a crash course we went to our first spot where Kaley had a fish roll over a bucktail and then proceed to come eat Brent’s bucktail boatside!!! At least we think that’s what happened. Spot 2 we lost one coming toward the net and then Kaley crushed her first muskie ever! With a large storm front approaching I gave them the option of making a move to a big fish spot and they accepted(without question), and Brent proceeded to bag a monster 47! Great job out there you 2, talk about an awesome father-daughter team! That is what it’s all about, thanks for the great day on the water.